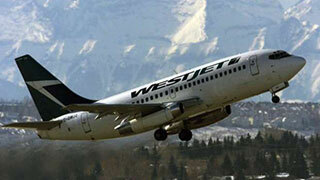 WestJet had a strong February, filling 85.2% of its seats, an increase of 2.0 percentage points year over year. Revenue passenger miles (RPMs), or traffic, increased 5.2% year over year, and capacity, measured in available seat miles (ASMs), grew 2.7%. The airline flew a record 1.8 million guests in February, a year-over-year increase of 5.8% or approximately 100,000 additional guests. "We are pleased with our continued strong traffic growth as we achieved a 200 basis point improvement in load factor year over year and flew a record number of guests while celebrating WestJet's 21st birthday," said WestJet President and CEO Gregg Saretsky .